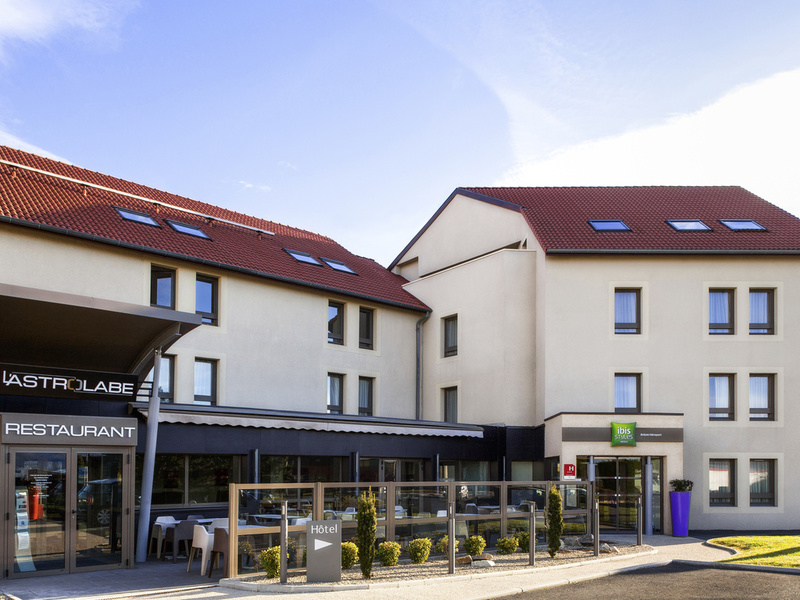 The entire team at the ibis Styles is delighted to welcome you among the volcanoes of the Auvergne. Located close to the highways and the city center, you will be able to easily discover our natural, cultural, sporting and gastronomic heritage. For business or leisure, the ibis Styles hotel welcomes you with 81 completely non-smoking, comfortable and air conditioned rooms with WIFI and breakfast included in the price. It also offers two private meeting rooms and a restaurant that will delight yo ur taste buds. The Astrolabe team welcomes you in a modern, colorful setting. The Astrolabe combines freshness and quality to tantalize you whatever the season. Prysznic był uszkodzony, w pojemnikach na żel prawie go nie było. Sniadanie w porządku. Obsługa bardzo miła.